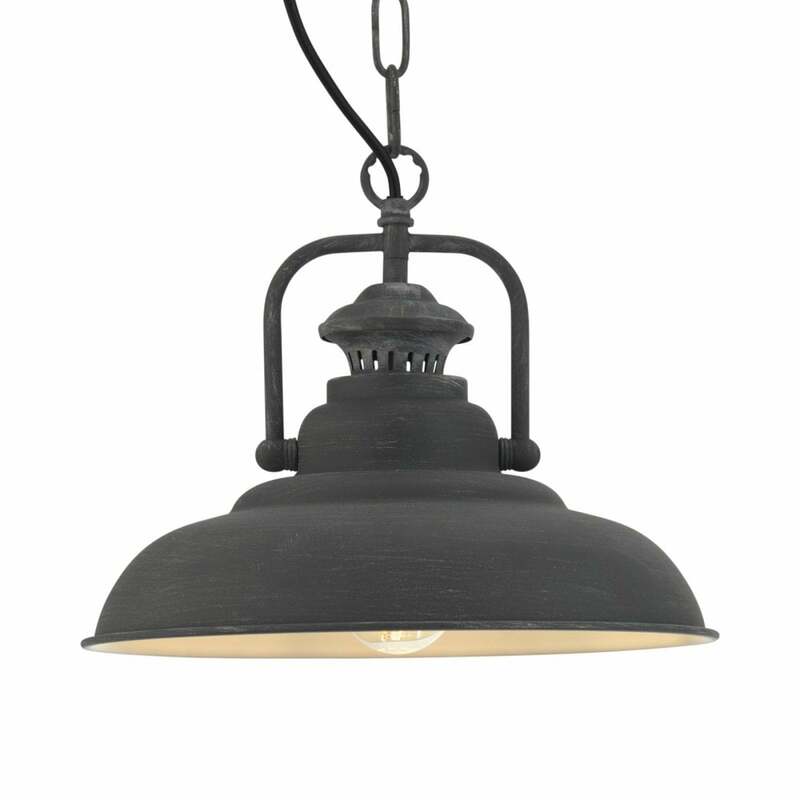 Oaks Lighting Sten single light ceiling pendant features a circular ceiling plate with decorative chain holding a dome shaped shade with an industrial design, all in dark grey concrete finish. The dark grey finish adds an elegant charm to the vintage design which will allow it to blend seamlessly with modern and traditional decors alike and teamed with a vintage filament lamp will complete the look. This product code is 5151 CO. Height is adjustable prior to installation. Also available in copper finish which can be purchased from our website.